There are no monthly fees! "Credit-Aid Plus is remarkably well designed. Installation was a snap, and I find it extremely easy to use. After 4 days of putting it through the paces without a single crash-error, I'm fairly certain the code is clean, tight and reliable. Strictly on functionality, it is virtually flawless and easily stands on its own merit. Yet, you went to great lengths to provide a highly intuitive user interface complete with an interactive co-pilot, wizards and pop-up reminders always at the ready to provide guidance every step of the way, leaving nothing to chance or lingering questions. The result is a solid, well-rounded product that is both educational and fun to use, quickly melting away all the trepidation and anxiety I generally feel on the sore subject of credit repair known more for the anguish and intimidation it engenders. Credit-Aid Plus is a bargain, compared to the cost of credit repair services which couldn't possibly do any better legally. It gives Main Street a heck of a fighting chance against Wall Street. If there's anything it can't, I simply haven't found it. The product is that complete! For the first time in all the years I've agonized over my credit woes, I actually feel empowered, rather than helpless. As for support, I haven't needed any... the product is truly idiot-proof! Even so, I did call in before my purchase with a pre-sales question and received a call-back within 2 hours. Not bad! There is not a single thing I would change in the software; and that's saying a lot. It is refreshing to see a product that delivers on both form and function, true to its promise. If anything, Credit-Aid Plus over-delivers on every front. I am thoroughly impressed with the product and would highly recommend it without reservation. It's exactly what the doctor ordered... no pun intended! You should be very proud." 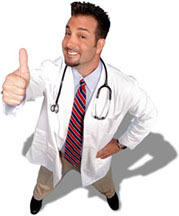 Without a doubt, the very best Credit Repair Software on the market is Credit Doctor. It has won numerous awards and has quickly become the most popular way to automate the process of repairing bad credit and fix bad credit report. Software programs do work for fixing bad credit. Bad credit report repair software is not a science, but it is a huge timesaver. You can certainly repair bad credit yourself without a credit program or credit software applications to examine and check your online history, but really bad credit will take many letters and tedious days and weeks to optomize, wheras a software program can automate the process considerably.You can have bad credit erased legally and quickly. Debt consolidation service is an option, but it still won't erase or reestablish a new file. Secured cards are an excellent way to reestablish credit, but you still must attack a low credit rating at the source. Debt expirations do vary, as well as judgements status. If you have delinquencies and charge-offs that are effectng your credit-scoring, creditrepair is your best option. For bad credit help and expert bad credit advice we recommend reading our free booklet "Boost your FICO score in 7 easy steps." Bad credit repair can improve your way of life greatly enabling you to get the mortgage or refinance loan at the best possible low rate. A bad credit report simply means that you have a bit of work ahead after disputing items to the Credit Bureaus Equifax, Experian and Transunion. A public interest group recently did a study that showed these staggering facts: 79% of all Credit Reports contain errors...and it's mostly errors that are the reason for a bad credit score.You do not have to fall victim to bad credit loans, you do not have to give in to accepting bad credit refinance or a bad credit mortgage. An improved report rating score will qualify you for loans and refinancing at much lower rates. Proper management with Bad credit software will save tremendous time and energy, rapidly boost fico ratings and boost fico scores. The Credit Doctor program software will help you with your credit repair, and use every legal means to erase bad credit quickly, or your money back. Fast credit repair is what you will have after using our software to fix bad credit ratings and fix bad credit scores. You can certainly fix credit and fix credit reports and improve bad credit on your own, but it helps to have a vast knowledge of the law. Our software has the added benefit of being co-written and approved by lawyers. Our knowledge of the law and the Fair Credit Reporting Act will help you to improve fico scores, check and improve a low credit score and raise fico scores. With our program and applications, you can easily remove bad credit while you repair bad credit ratings and fix your bad credit reports with the click of a mouse button. On our Bad Credit Software Blog we give hundred of free tips, help, counseling and advice to repair bad credit scores, and repair low credit scores effortlessly and easily, because our program is fully compatible with all three major bureaus, Equifax, Experian and trans-union (aka trans union). Simply downlad your free Reports from annual credit report and you will have free reports. Once those free credit reports are in your hands and after purchasing our Bad Credit Repair Program program, you will be able to handle a bad credit removal operation for yourself (for free) what you would have to pay hundreds or thousands of dollars to companies like lexington law or creditnet. Download a free sample program today. What have you got to lose? As they say on the Federal Trade Comission www.ftc.gov. A professional credit repair company (credit restoration management and restore service) cannot do anything for you that you cannot do for yourself for free or little cost. Repairing Credit is not brain surgury. It can be done, and the best credit repair Company...is yourself.